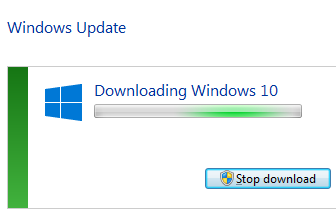 Why not upgrade to Windows 10? Privacy: Windows 10 collects data on you, sends it to Microsoft, and there's no way to completely shut that off. Bugs: Quality control has taken a back seat to rapid releases, so bugs are more common than earlier versions. Compatibility: Windows XP and earlier Compatibility Modes have been removed, and not all software and drivers work properly in Windows 10. Control: Options to control updating have been removed from consumer versions. Media: Media Center and DVD Player have been removed. Cost: Microsoft is being coy about the cost of Windows after the free Windows 10 upgrade "promotion". Subscriptions might be required. Bottom line: "If it ain't broke, don't fix it." But with Microsoft aggressively pushing Windows 10 upgrade out through Windows Update (over and over), it can be hard to avoid an inadvertent upgrade, and the ongoing nags are annoying. KB3080351 How to manage Windows 10 notification and upgrade options provides instructions for Windows 7 and Windows 8.1 to disable Windows 10 upgrade through Windows Update. Group Policy is not available in Home versions of Windows, but the Registry method should work. Either method should work in Pro versions. Create a restore point in System Restore in case you make a mistake. Double-click that file to Merge these changes into the Registry. Search for Edit Group Policy and run it. Under Local Computer Policy open Computer Configuration → Administrative Templates → Windows Components → Windows Update. Edit Turn off the upgrade to the latest version of Windows through Windows Update, change to Enabled, and click OK.